Do Gays Need Gay Beer? A Mexican brewery called Minerva is pushing a new brew to market. 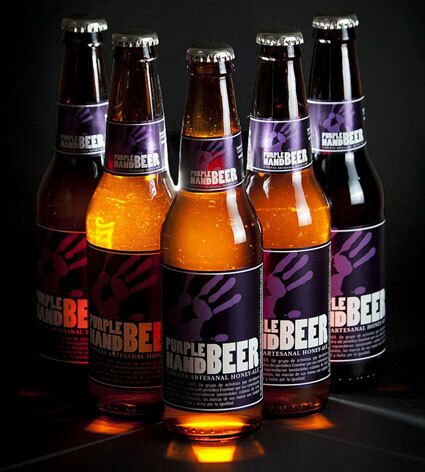 Purple Hand Beer (Salamandra in Mexico) is being billed as the first “queer beer” in the world. Whatever the hell that means. “We’re out in the market with great respect with the idea of offering a product directed to the gay-lesbian community that has been ignored for too long but is important and very demanding,” said Dario Rodriguez Wyler, manager for distributors Bodega 12. The beers are brewed with 100 percent organic honey and malt, with a recipe that “infuses the beer with a citrus flavor that appeals to the taste of the LGBT community,” according to Wyler. Purple Hand was named in honor of the 1969 gay rights protest in San Francisco. Isn’t there already gay for beer people? Isn’t it just called beer? Or a vodka soda? Zing! In any case, watch the mock news report below and tell us if you think Purple Hand has a clever branding concept on their hands, or just an idiotic and quasi-offensive advertisement sure to turn more gays off rather than get their mouths watering. “Express your sexuality through lager?” Really?